Nokia has confirmed that its upcoming smartphone will be released next year, making good on its promise to re-enter the mobile phone market. The once-mighty Finnish company sold its device business to Microsoft in 2014, where phones were sold under the Lumia brand. 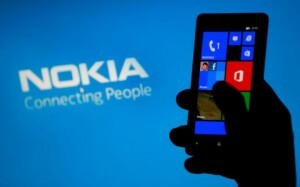 But as Microsoft effectively exits the smartphone business, Nokia is set to return. The new generation of devices are expected to be released in the second quarter of 2017, with rumours suggesting that they will be unveiled at Mobile World Congress in February. Rajeev Suri, Nokia's chief executive, is scheduled to make a keynote speech at the conference, where the company will also have a stall. Nokia confirmed it would release a phone for 2017 last week, when a corporate presentation said next year will see "Nokia brand's return to smartphones". Microsoft restricted Nokia from manufacturing phones with its name on until 2015 when the company said it would consider re-entering the market "if and when we find a world class partner" to take care of manufacturing, sales, marketing and consumer support. Nokia is partnering with a Finnish company called HMD, which will take responsibility for manufacturing the forthcoming smartphones. The two signed a deal back in May that gave HMD the exclusive rights to the Nokia brand. The newly-formed company will spend €500m on marketing the phones in the next three years. It has agreed a deal with Nokia to exclusively produce its hardware for the next 10 years. No details are yet available about the phone itself and the features that it will have, but Nokia's new devices are expected to run on Google's Android operating system. Nokia website Nokia Power User claims that two high-end handsets running Android Nougat are in the works.